Why Is My Horse Lying Down More Than Usual? Just as with people, there are many reasons why a horse might want to lie down. 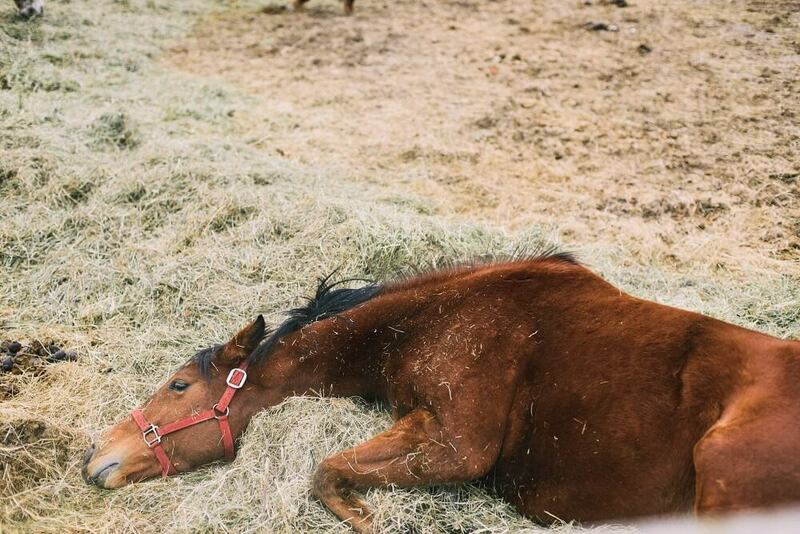 Although most horses stand to sleep most of the time, all horses lie down for at least part of their sleep. Horses who feel very secure may lie down for all of their sleep. Very often horses enjoy basking in the sun, especially after a long, cold winter. As with every potential horse health problem, your intimate knowledge of your horse can help you determine whether or not your horse lying down more than usual is a problem. If you are familiar with the amount he or she usually lies down, you will know when this changes. 1 Is It Normal For A Horse To Lie Down? 4 What Should You Avoid? 5 What Will The Vet Do? 6 Do I Really Need To Call The Vet? Is It Normal For A Horse To Lie Down? A horse who lies down a great deal may be in physical pain. Problems such as arthritis, generalized muscle aches or laminitis may cause a horse to lie down. Neurological conditions can cause lack of coordination and weakness, and this may cause your horse to lie down. One of the most common reasons a horse lies down is colic. This condition causes abdominal pain and may cause your horse to lie down and roll or writhe on the ground. When a horse has abdominal pain, it may cause him to stagger and fall or collapse on the ground. Colic or laminitis may cause your horse to stand stretched out with front limbs extended forward and hind limbs extended back. Your horse may raise his head and curl his lip as an expression of abdominal pain. Your horse may lose his appetite and turn down formerly favored foods. A horse with colic may look at or even bite at his side or belly. A colicky horse may have a rapid pulse rate, even at rest. Colicky horses sometimes kick at their bellies. Your horse may seem weak and may stagger. Your horse may not want to walk or move. His legs may seem to be stiff or rigid. He may seem lethargic or depressed. Adult horses with colic may roll. 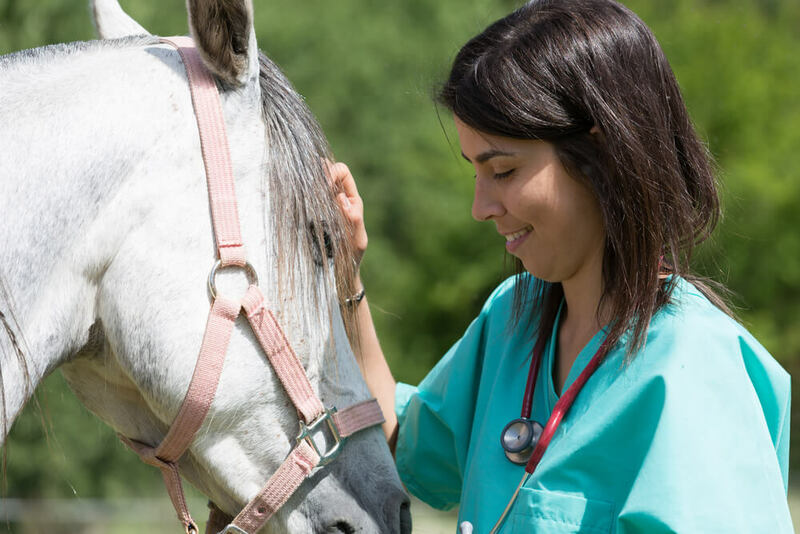 If the health symptoms seem mild and are not constant and your horse still has a good appetite and does not seem overly distressed, call your vet to schedule his or her first available appointment for an exam. If symptoms came on suddenly and/or are severe and debilitating, call your vet’s emergency number and arrange an immediate visit. Offer your horse a bit of feed or a treat that he would normally welcome. Make note of your horse’s response. Having all of this information jotted down will help you give your vet a clear picture of the situation when you phone for advice. If your horse is resting quietly, it is best to allow him or her to continue to rest until the vet comes. If your horse is distressed and/or rolling, your vet may tell you to keep the horse walking. If your horse is very distressed or violent, don’t attempt to examine or handle him. A horse who is in a great deal of pain due to colic may suddenly collapse, and you could be injured. Your vet will probably first suspect colic as this is the most common reason for a horse to lie down excessively and/or get up and down repeatedly. When an emergency such as colic strikes, the importance of regular physical exams and veterinary attention becomes very evident. 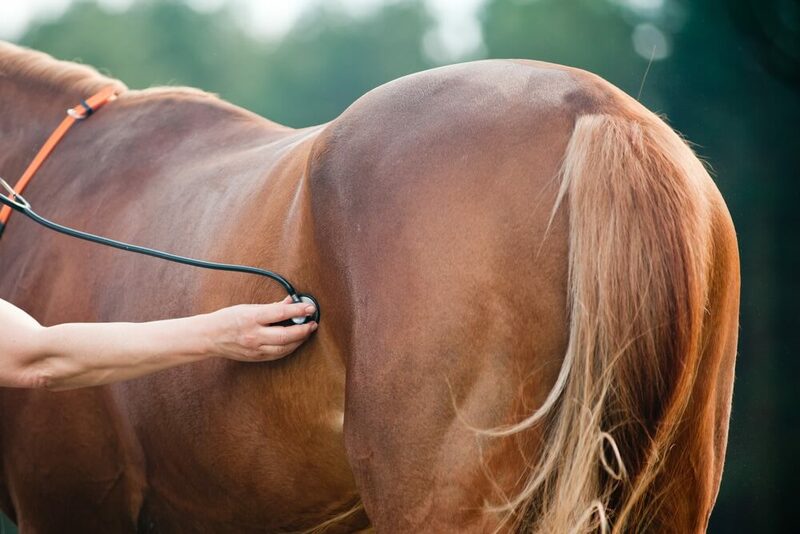 When your vet is familiar with your horse’s usual way of being, he or she is better able to identify abnormalities. Good knowledge of the patient helps the doctor know which tests to use and which treatments will be most effective. Is your horse exhibiting changes in appetite and/or attitude? Does your horse lie down again shortly after standing? Does he have trouble getting back on his feet? When your horse gets up, what happens? Is your horse unsteady or staggering? Does your horse resist walking? Do I Really Need To Call The Vet? If your horse is not in distress and symptoms are mild, you may wish to observe him for 24 hours before calling the vet. If you are able to set up a recording system in his stall, you can gather a lot of information and then review it quickly by simply speeding up the recording. This exercise may give you more information as to why your horse is lying down more, and the brief passage of time may give your horse a chance to recover if the problem is only temporary. If symptoms are severe and/or problems persist, be sure to get your vet involved.